Our vision is to encourage people to -Remember, Respect and Reconnect to elders living alone at home, in nursing homes and assisted living facilities in the communities where we live. 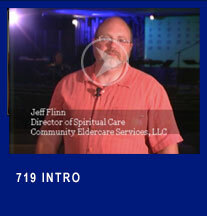 Our goal is to help reconnect elders, who may be vulnerable to the pain of isolation and loneliness, back to individuals, faith groups and civic organization in their communities. Together we can end the pain of loneliness and isolation in the elders where we live . 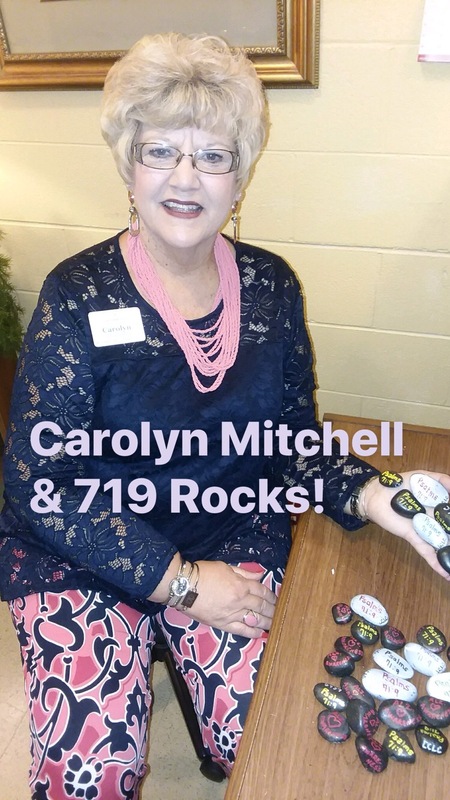 Check Out How Carolyn Mitchell Rocked Her Community for 719! Rock Your Community for 719! Carolyn Mitchell and the folks at Lauderdale CLC wanted to Rock their community to bring awareness to the needs of elders where they live. 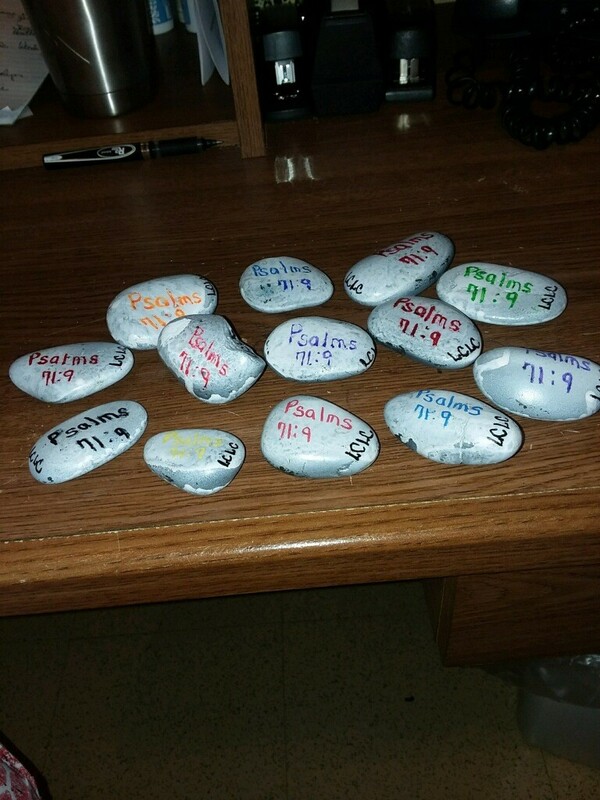 They purchased some smooth stones from the local Dollar Tree and brought them back to the facility to paint. 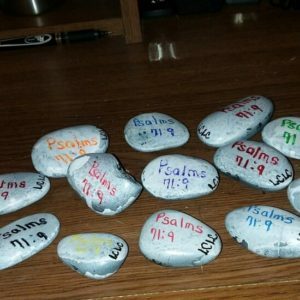 The elders painted Psalms 71:9, and the homes initials – LCLC on the rocks and then hid them throughout the community. Why not make this your 719 Project too! 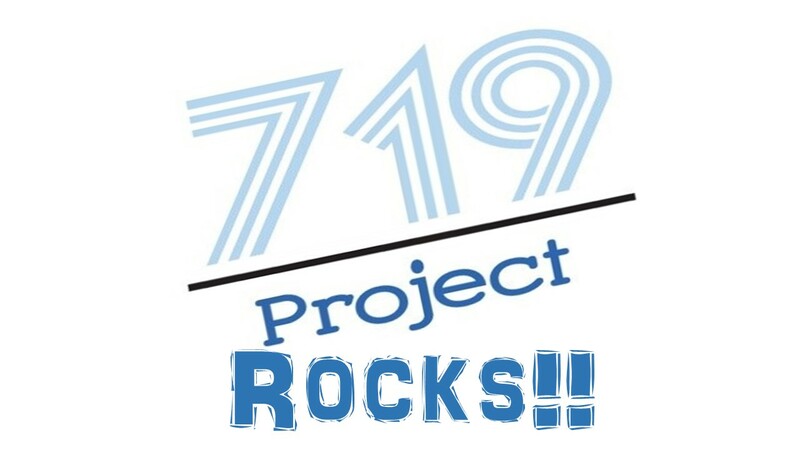 Please put the 719 website on the back, www.719project.com< and help us get the word out. Together we can end isolation and loneliness among elders where we live. We can’t wait to hear your story of ending isolation and loneliness among the elderly in your community? Share with us how You Rock 719!